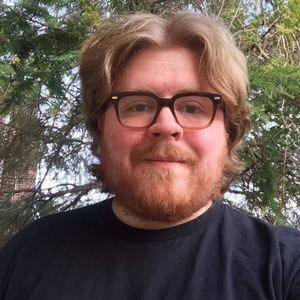 Kole Ross is the founder of Duckfeed.tv, and the host of Monster in My Podcast, The Level, Bonfireside Chat, Watch Out for Fireballs!, and other shows. Kole Ross has hosted 140 Episodes. Gary Butterfield and Kole Ross read your responses to Metal Gear Solid 2: Sons of Liberty in this final extrasode. Gary Butterfield and Kole Ross talk about the final portion of Metal Gear Solid 2. Or do they? Gary Butterfield and Kole Ross do a postmodern postmortem on the first portion of Metal Gear Solid 2: Sons of Liberty. Gary Butterfield and Kole Ross read your responses to Nox. Gary Butterfield and Kole Ross chase their orbs into the world of Nox. Gary Butterfield and Kole Ross read your responses to SSX Tricky. Gary Butterfield and Kole Ross flip out about SSX Tricky. Gary Butterfield and Kole Ross read your responses to Yakuza. Gary Butterfield and Kole Ross kick and punch their way through Yakuza. Live from the Midwest Gaming Classic, Gary Butterfield and Kole Ross talk about Nintendo's little-loved Pilotwings series. Gary Butterfield and Kole Ross read your responses to Crimson Shroud. Gary Butterfield and Kole Ross chance upon Crimson Shroud. 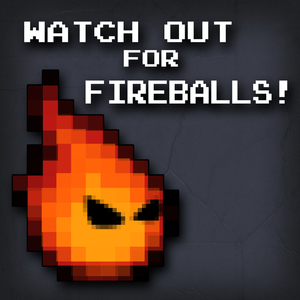 A discussion about the future of Watch Out for Fireballs! and Bonfireside Chat. Gary Butterfield and Kole Ross read your responses to Super Princess Peach, along with a smattering of listener questions and prompts. Gary Butterfield and Kole Ross feel their way through Super Princess Peach. Gary Butterfield and Kole Ross read your responses to Dead Space.